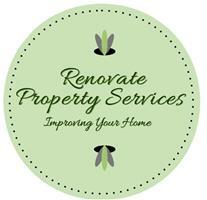 Renovate Property Services - Home Improvements, Painter/Decorator based in Southsea, Hampshire. Renovate Property Services provides professional decorating, painting, tiling, electrical services and general property maintenance. With over 25 years of experience our quality is guaranteed. Single room or the whole house, inside or out. To provide written quotations as requested. To give daily updates on project progress. To be clean and tidy at all times. To be fully insured to protect you and your property. Accept payment only upon completion of the work.